TextMate is a versatile plain text editor with a unique and innovative feature set which caused it to win an Apple Design Award for Best Mac OS X Developer Tool in August 2006. A rapidly growing community have created modes for more than a hundred different “modes” including support for all major programming languages, writing prose in structured formats such as LaTeX, Markdown, Textile, etc., blogging, running SQL queries, writing screen plays, doing your budget, and much much more. a CSS-inspired selector system which allows preferences and more to be applied to subsets of your document – you want return to do something different inside comments? or maybe you want spell checking enabled for your strings in C++, both can be done in seconds. column operations – if you align your code nicely TextMate will reward you with eased editing! superb shell integration – don´t worry if you are not familiar with bash, TextMate is here to teach you about all the wonders of the OS X UNIX underpinnings! 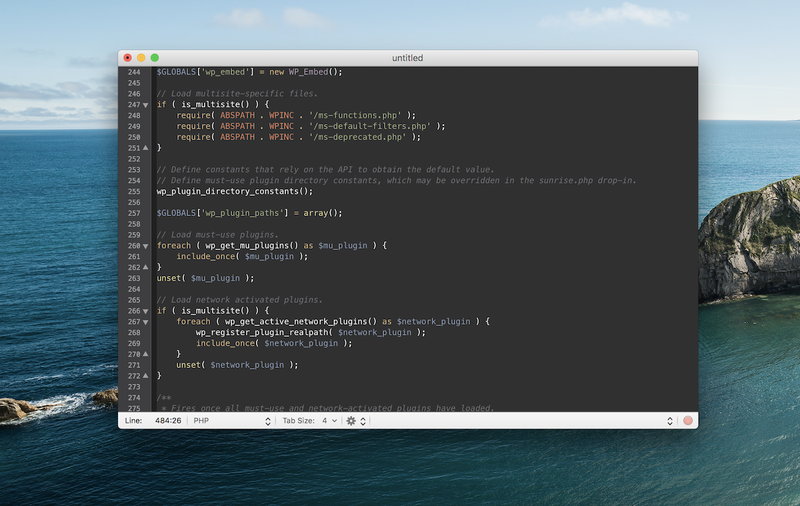 Sublime Text 3149 – Sophisticated text editor for code, markup, and prose. Smultron 10.1.6 – Easy-to-use, powerful text editor.